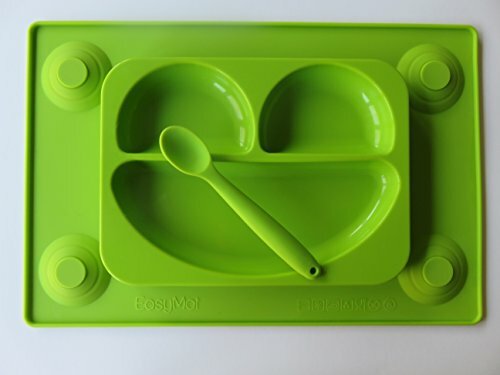 HAPPY FACE PLATE AND PLACEMAT ALL IN ONE (LIME GREEN) WITH MATCHING SOFT SILICONE SPOON- EasyMat provides the perfect sized quality placemat with deep set divider sections for Kiddie’s food. 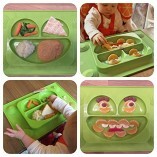 Time to make meal times more fun thanks to EasyMat. 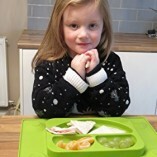 – Why not take fun eating one step furher and be creative and make use of the cute face to add colour, textures, make meal times super fun. MULTI SUCTION POINTS. 4 CORNER SUCTION POINTS plus extra suction in the central face. 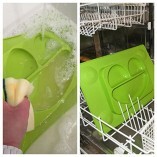 Our Goal was to design the best and most secure All In One Silicone Placemat and Plate. 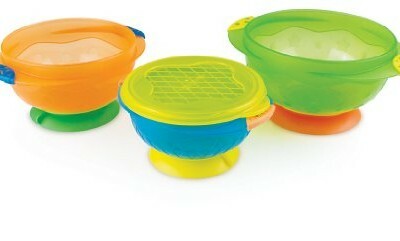 Our EasyMat prevents children tipping or throwing thier plates or bowls. 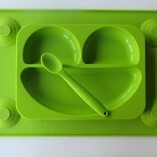 Our Mission is to make mealtimes ‘ MORE FUN LESS MESS’! 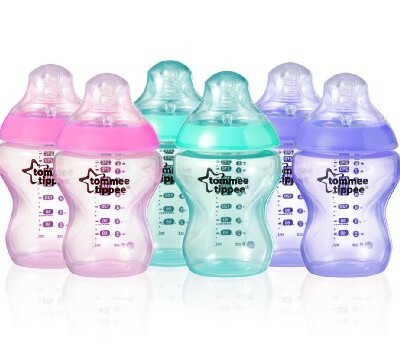 100% FDA Approved High Quality Food Grade Silicone. Unbreakable, Easy to clean, Durable, Dishwasher and Freezer Safe. 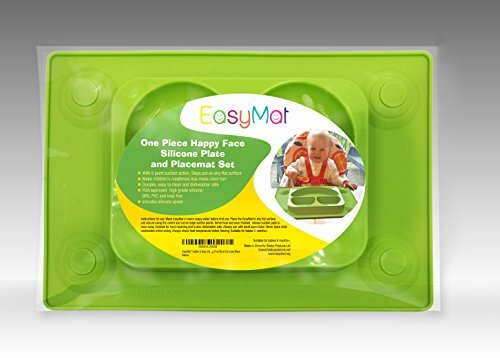 Introducing The New, Super Fun Baby Feeding Suction Plate By EasyMat: The Happy Face That Makes Your Little Ones Smile, With Less Mess! 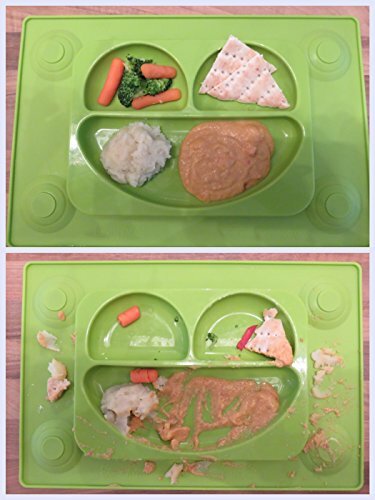 Most of us parents know that Feeding babies and toddlers self feeding can be a messy busines, However, Easy Mat has brought a groundbreaking plate that will help simplify your life! 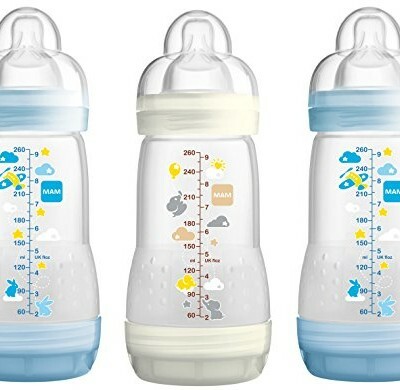 Feeding Times Become Fun And Effortless! Easy Mat’s innovative design offers unparalleled practicality and ease of use. 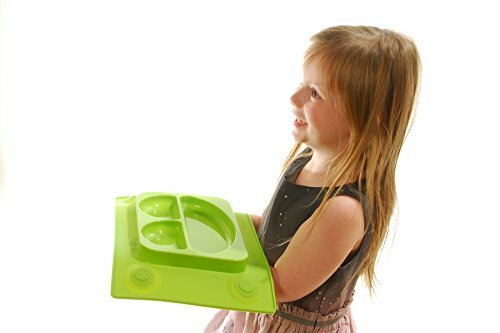 Ergonomically designed to make feeding your toddler or baby FREE OF MESS & HASSLE – this plate is destined to be loved by anyone who will ever use it! You Can Finally Take The Stress Out Of Mealtimes! Thanks to its four corner-placed suction cups and super strong central suction it promises unmatched steadiness. Place it on the table and rest assured it won’t move. 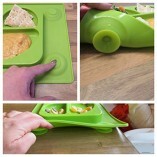 No more tipped over or thrown bowls! 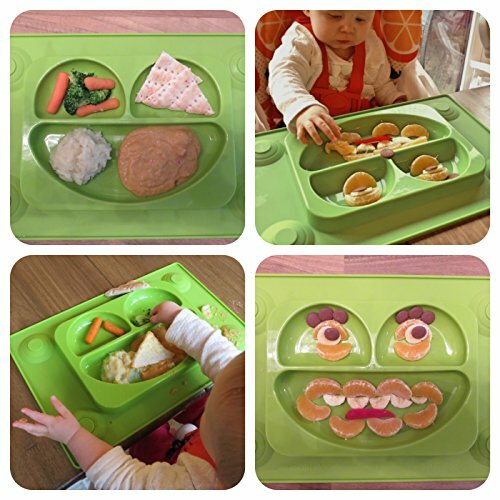 Enjoy those special moments with your baby or toddler and feed your loving child with a divided smiley plate that’s uniquely designed. The 3 perfectly sized depth cavities create a happy face. And make meal times really enjoyable! Easily take it everywhere you go thanks to its portable size. You can even carry more than one across the kitchen filled with food, as the easily stack on top of each other! This Is A Risk Free Purchase! We are so sure you will be delighted with Easy Mat, that we will refund every penny if you are not 100% satisfied! 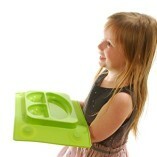 Add To Cart Today Now And Make Mealtimes More Fun Less Mess! 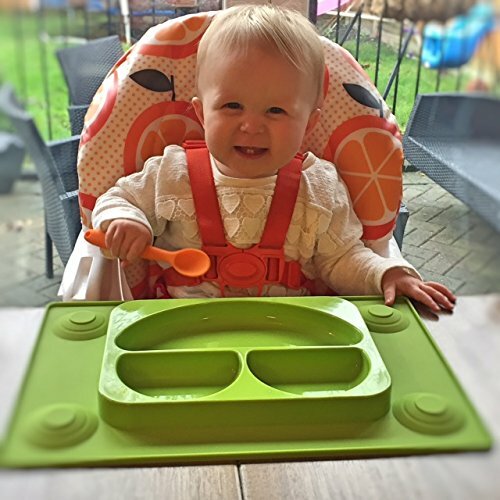 USE ANYWHERE – Suctions to any flat surface and fits most high chair trays (though check dimensions) Use a table surface for best suction. Why not take EasyMat on holiday or when visiting family or friends? SIZE GUIDE- LENGTH : 38 cm WIDTH : 26cm HEIGHT/ DEPTH : 3cm. 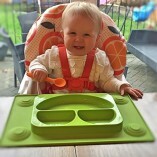 Please check these measurments if you are first planning to use the EasyMat in a highchair. 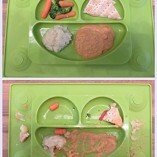 Highchair trays do differ in size. 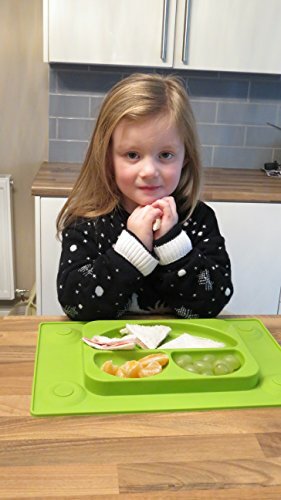 If however your highchair tray can be removed you can simply use the highchair against a normal table so that the EasyMat can be used everyday.